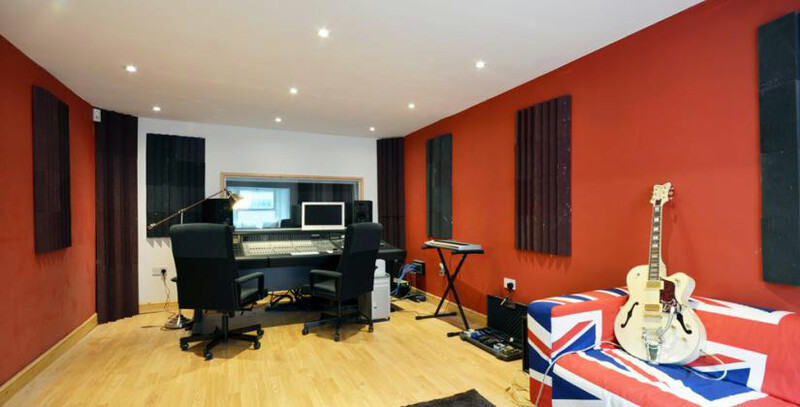 A drummer-turned-entrepreneur chose a “blank canvas” to create a recording studio at our centre in Nottingham. Jack Bennett moved into a 1,600 square foot unit at Roden House, Nottingham, back in May 2012. He then spent the next seven months transforming the empty space, with the help of his friends, to use it as a recording studio. The 26-year-old was working as a session drummer when he realised his real passion lay in the production side of the music business. When you want to expand, you need the premises to make it look professional. I needed a purpose-built area which I could design myself. Jack chose the unit at our Roden House business centre because it was an open, empty room which he could change to meet his needs. Roden House also fitted the bill due to its affordable rents and convenient location. Jack says: “When you’re setting up a business, the outgoings are the overriding factor. The unit was a great size and the location is literally a five minute walk from the city centre. It’s been going really well. I started off small with one band a week rehearsing here. Now I am covering costs and making a bit of profit too. The recording and mixing side is picking up and I think this next year is going to be really exciting. Roden House Business Centre is a former Victorian lace factory and warehouse which has been converted into 53 business units including offices, studios and workshops. You can access the centre 24 hours a day and it is monitored by CCTV for security purposes. Roden House also offers a mailbox service for businesses which need a professional address. To find out more, contact Business Centre Manager Jamie Douglas on telephone 0115 959 8808.